The Royal Hospital Chelsea hosts many events each year. From the world famous Chelsea Flower Show, which has been held on site annually since 1913, to the Live at Chelsea music concerts which take place each June. 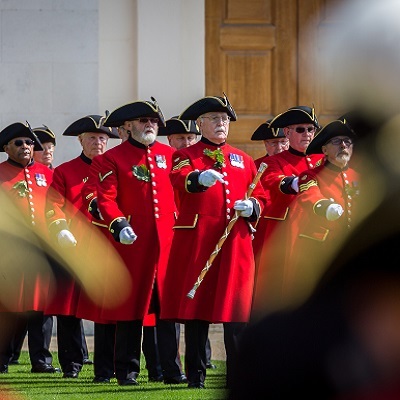 In addition, Friends of the Royal Chelsea Hospital also enjoy a number of exclusive events each year, including an invite to the Governor's Review, a prestigious dress rehersal event for the Founder's Day celebration. To find out more about the different events at the Royal Hospital, please use the links below.